Five years ago McLaren returned to the world of sports car racing when it debuted the MP4-12C GT3. Its beautiful lines and advanced aerodynamics couldn’t disguise its failure as a reliable machine, proving ineffective for long distance motorsports. The promise of the McLaren 650S GT3 was to change all that. One year after first racing the 650S in anger, McLaren finally took its first big title in the modern era of sports car racing. 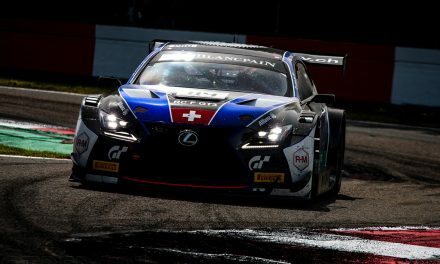 At the Nürburgring drivers Rob Bell, Côme Ledogar and Shane Van Gisbergen, the latter in absentia, took the Blancpain GT Endurance Cup title along with the teams championship title. It was redemption for many years of misfortune. Arriving on the grid for the final race of the season, McLaren knows it will be fighting an uphill battle. 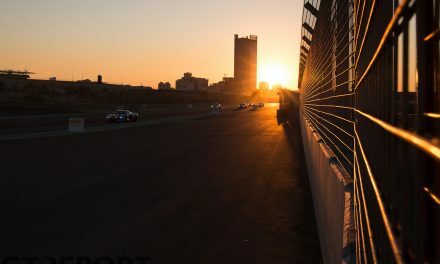 The foggy qualifying session was a disaster for the Brits, placing only 21st on the grid while watching title competitors HTP Motorsport go to second row and M-Sport Bentley qualify on the verge of point scoring positions. 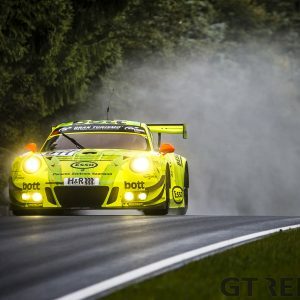 The highly competitive season has thrown in more finalists as well, as Rowe Racing joins the fight after the team’s top performance and victory in the 24 Hours of Spa. But Rowe, like many others, was caught-out by the red flag that prematurely ended qualifying. 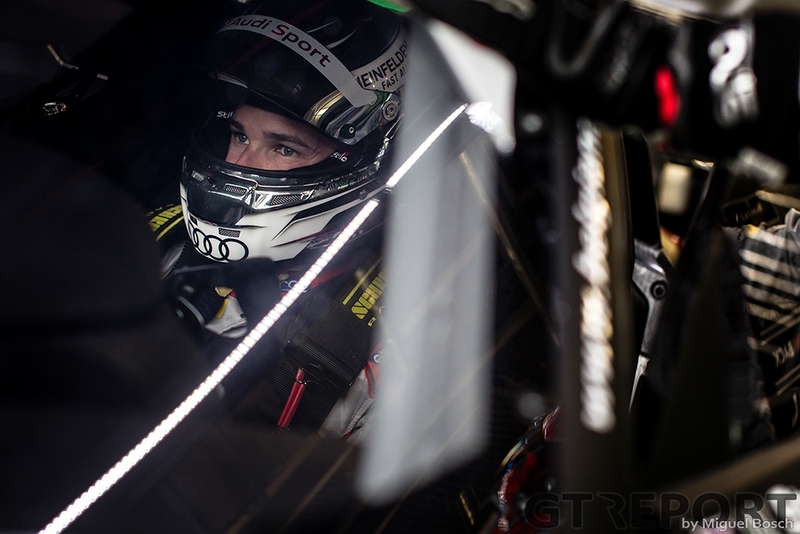 Lining up on the middle of the grid, Rowe racer Alexander Sims sees no realistic chance to go home a Blancpain GT Endurance Cup champion, but refuses to give up before all is lost. At the far end of the grid sits another title aspirant. Another victim of the abruptly ended qualifying, Liam Talbot and his number 888 Kessel Racing Ferrari 458 GT3 teammates Vadim Gitlin and Marco Zanuttini have everything under control and look set to take hold of the Am cup. 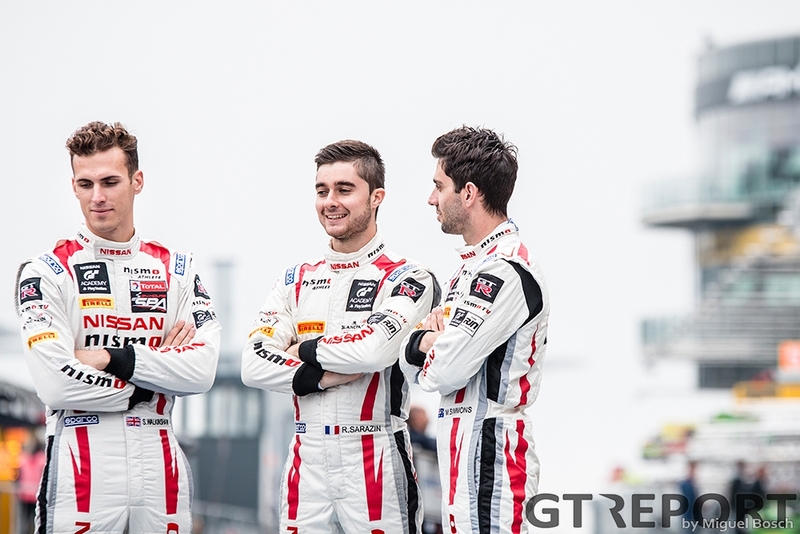 The Kessel trio leads with a 21-point gap after wins in the big-points paying Spa 24 Hours and 6 Hours of Paul Ricard. 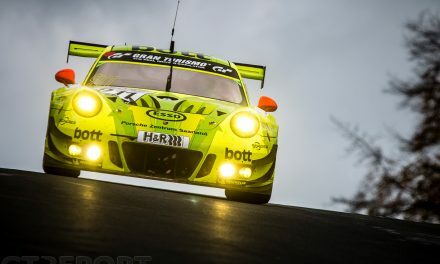 Qualifying has brought Grasser Racing pole position. It’s been an up-and-down year for the Lamborghini Huracán GT3 team, often running strong but seldom maintaining the high pace until the end. Today the Austrian team starts from pole position with Luca Stolz taking the wheel for the first stint. The sister car of Rolf Ineichen, Christian Engelhart and Mirko Bortolotti starts two rows back. Bortolotti is on starting duty in the number 16 Grasser Lamborghini and has set his sights on P1. Lamborghini’s star driver takes no prisoners in turn one, shooting past everyone but Luca Stolz in the number 19 Grasser Lamborghini. After a short interruption by the safety car, the race goes back to green five laps into the race. Bortolotti is running in second but still isn’t satisfied. Looking to claim the lead, the Italian forces Stolz into overshooting his braking point for turn one. The Italian slips through into the lead and never lets go. Rob Bell, the Englishman who has been a flawless performer ever since he joined McLaren as a works driver, is already making up for lost ground and inching closer to the top ten. He has to, for HTP and Bentley are too close to the front and mere positions away from snatching the title out of McLaren’s hands. 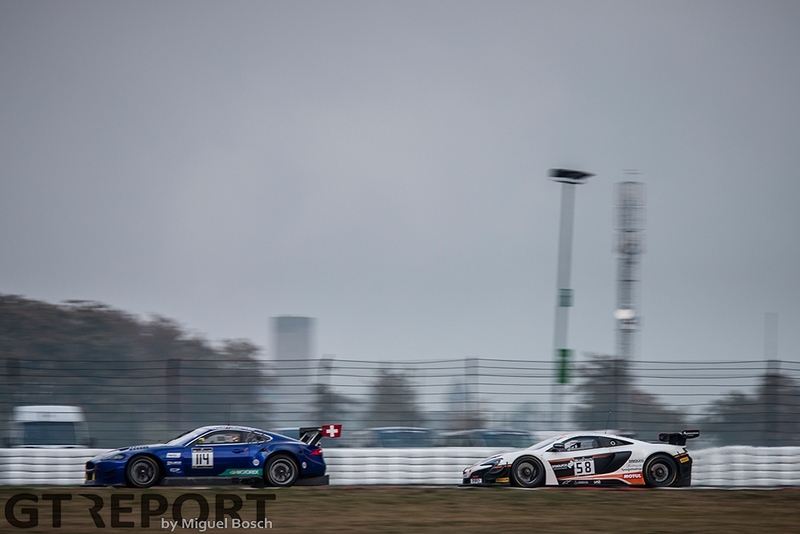 Under braking at the hairpin near Müllenbach, Bell locks his brakes and smashes into the back of the Marco Bonanomi-driven Sainteloc Racing Audi R8 LMS GT3, starting off a series of misfortunes for the McLaren crew. 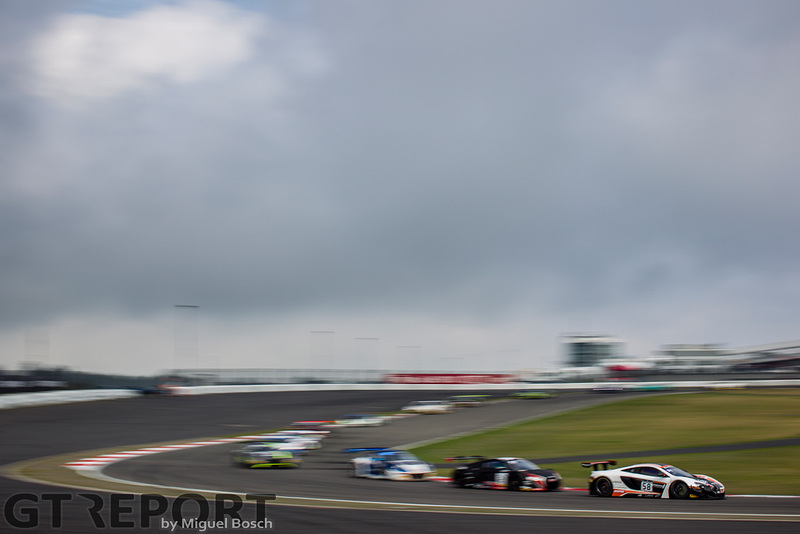 Not much later Bell makes another mistake and spins the Attempto Racing Lamborghini Huracán GT3 of Daniel Zampieri sideways. Race control cuts McLaren some slack for the first incident, but follows through on their warning flag when Zampieri’s race is ruined. “It was a mess,” McLaren GT teammanager Bas Leinders says. “It already went wrong during the qualification, where we had one good lap, then one where we were hindered, and then the red flag. It doesn’t end there. A flat tyre after Duncan Tappy, Shane Van Gisbergen’s substitute for the weekend, has taken over, causes McLaren’s plans to go even more awry. A spin in the final stages of the race seals the team’s faith: There will be no points today. When the final half hour arrives Christian Engelhart, racing in the number 16 Grasser Lamborghini, is stalked by Vanthoor’s WRT Audi behind him. Over the course of thirty minutes the Audi is all over the back of the Lamborghini. Maybe on any other day the Audi ace would’ve gone by Engelhart and into the lead. Today, however, Engelhart rises to the occasion, keeping the works driver behind him and taking the Lamborghini to the finish for its only win of the season. HTP, the last one standing of the title contenders, has to strike in the last half hour. 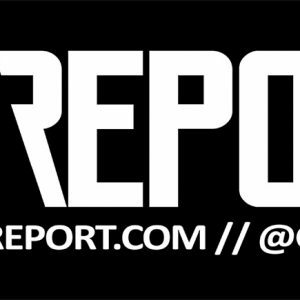 With McLaren out for the count, all the Germans need to do is to move up one more place and onto the podium. 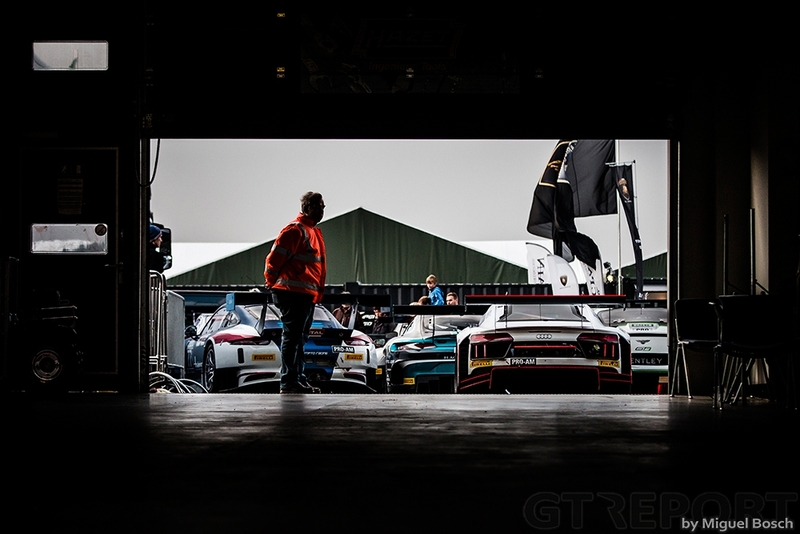 Maximilian Buhk has been looking at the back of Alex Buncombe’s RJN Nissan GT-R Nismo GT3 for the duration of the safety car but that will be all he’ll ever see. Going back to green, Buhk’s teammate Jazeman Jaafar watches from the HTP pit box and knows that the AMG just doesn’t have it today. 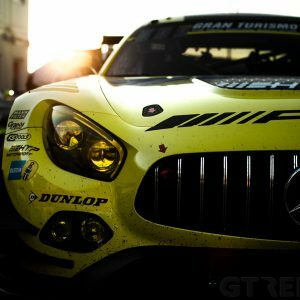 “We had to take all the risks we could to catch the Nissan and close the gap,” the GT rookie says. “The safety car helped us quite a bit, but we just didn’t have the same straight-line speed and pace as the Nissan and the Lambo. It was hard to overtake the backmarkers and to also keep up with the pace of the frontrunners. The gap was just too big for us. 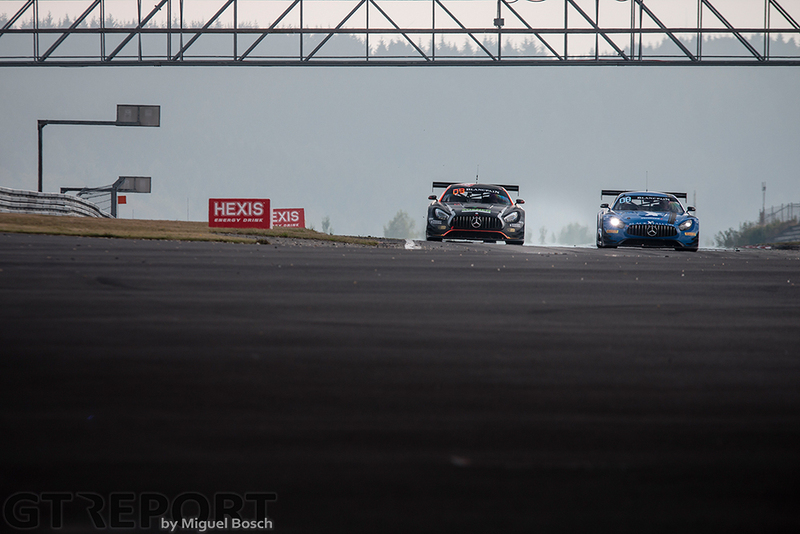 Where HTP, Bentley and Rowe Racing go home empty-handed, McLaren takes its first-ever Blancpain GT title together with veteran Rob Bell, absent Shane Van Gisbergen and rookie Côme Ledogar grabbing the driver’s title. “I refused to believe that we weren’t going to win the championship,” Ledogar describes the bad day that turned into one of the best of his life. “Even when we got into a lot of trouble in the first two hours, I refused to believe it. Over in the Kessel Racing pit box the party is on as well. Next to taking the Pro-Am Cup, the Swiss squad also wins the Am Cup. “It’s the hardest thing I’ve ever had to fight for,” an elated Talbot says. 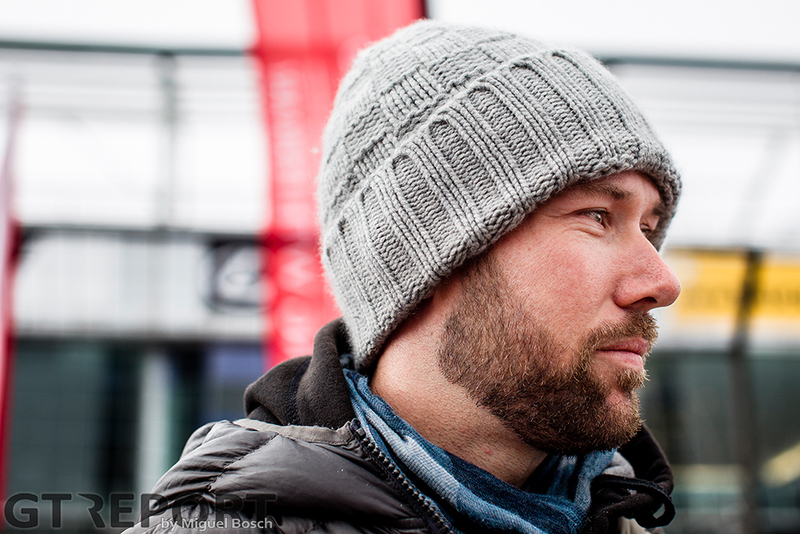 He’s made it to the finish in 43rd position but gathers enough points to take the title. “You can fight the fight but you can still not get the result, as we found out last year. We were very lucky this year, but we also put up more of a fight. After winning February’s 12 Hours of Bathurst McLaren went on to win Blancpain GT races and two championship titles. 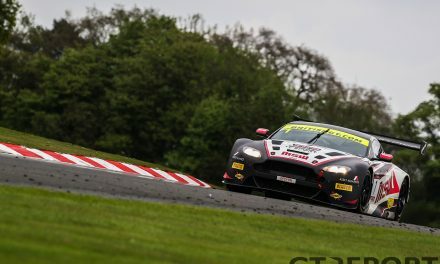 Going into the Blancpain GT Series season finale at Barcelona, the British marque still has a chance to win the Sprint Cup and overall Blancpain GT titles to finish 2016 off as successful as it started. “Bathurst this year was my very first race with McLaren,” Leinders reflects on the season so far. “I only worked there for just a couple of weeks, it was a lightning start. “Next is Barcelona, another important race as we’ll go and try to do our best to become Sprint champions as well. 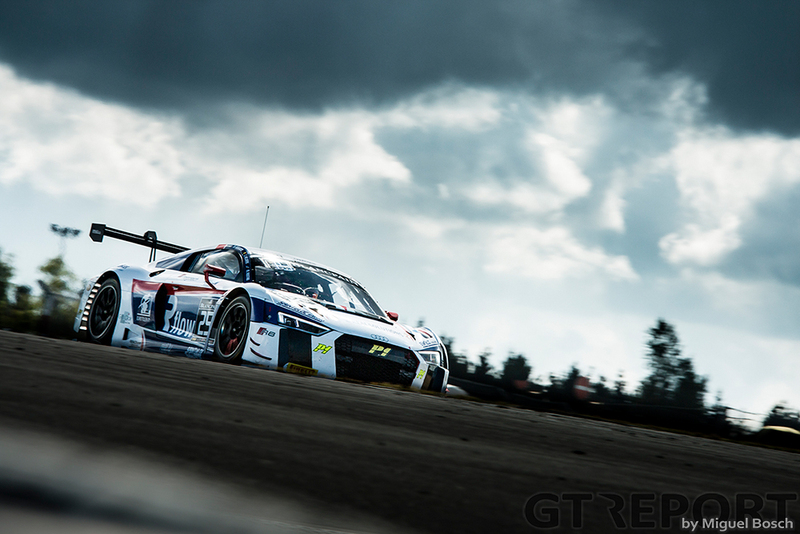 Rob Bell can also still win the overall Blancpain GT championship.